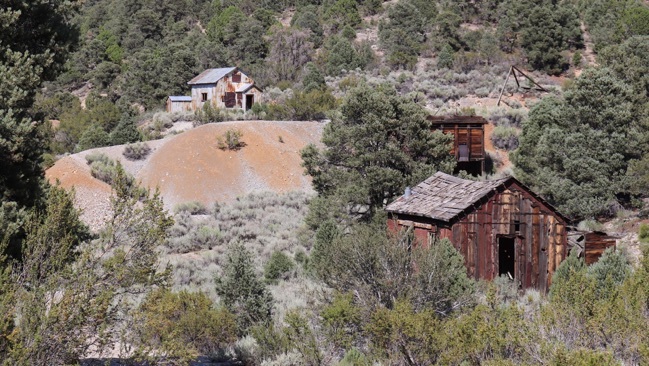 Part three: The Black prince mine, and Mines of the highland district! 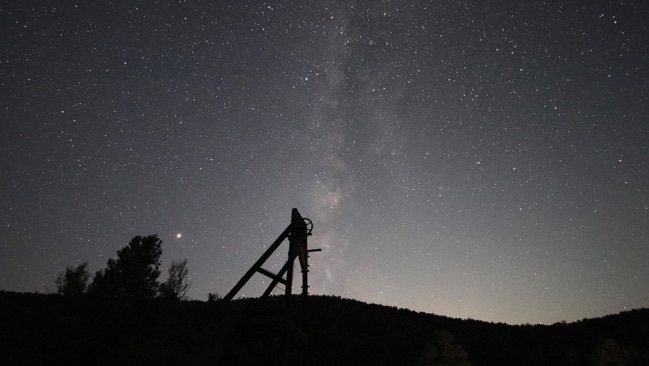 Above: The headframe of the Black Prince Mine, NV silhouetted against the Milky Way. The bright spot near the tree is Mars. 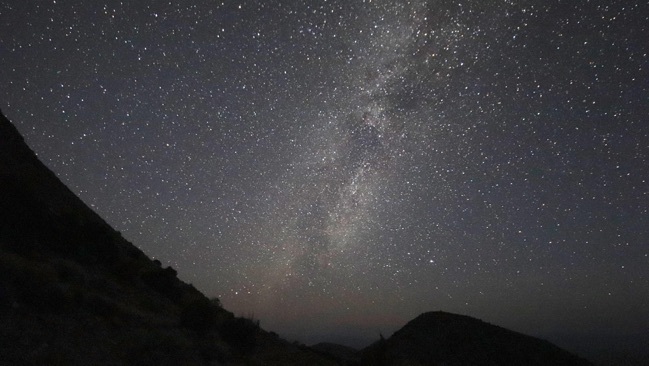 I arrived at the Black Prince Mine late at night, and quickly set up my cameras to shoot some time-lapse photography of the stars and Milky Way. There is little information available about this mine. 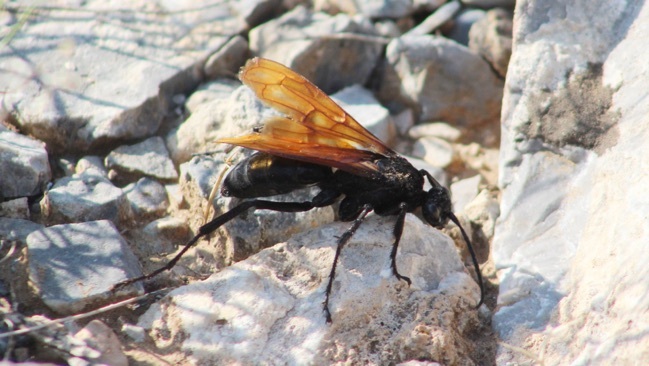 It appears to date back to the early 1900s. The primary ores were silver, with some gold. 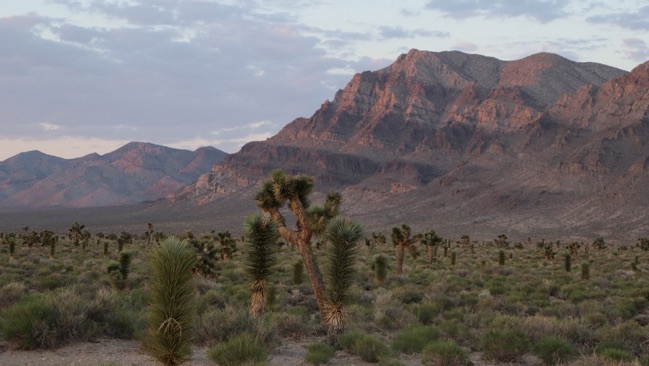 In 1981 a mining company bought the claims, and did extensive test drilling. 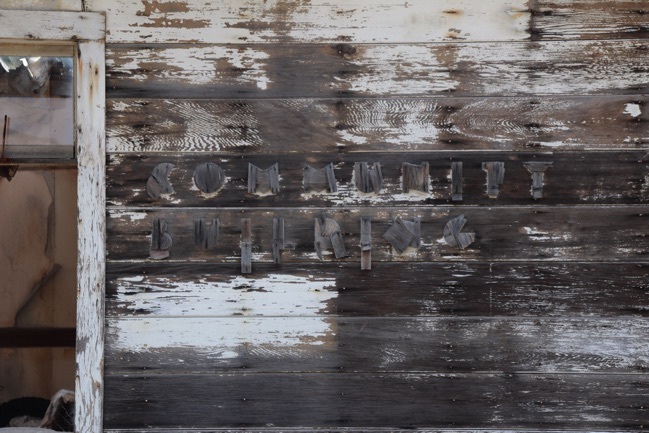 The cylindrical core samples were stored in the old hoist house. Since then, the hoist house has almost completely collapsed. The floor is now covered with thousands of fragments of core samples. 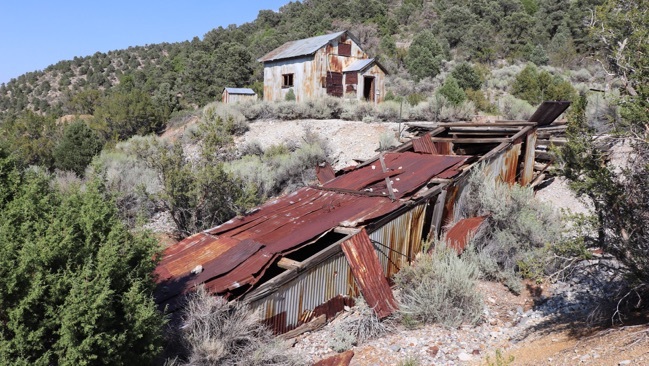 Click here to see a video tour of the Black Prince Mine, NV. Above: Some of the core samples are seen among the ruins of the hoist house. Below: There is one other building at the site, which is also mostly collapsed. This was probably the blacksmith’s shop. 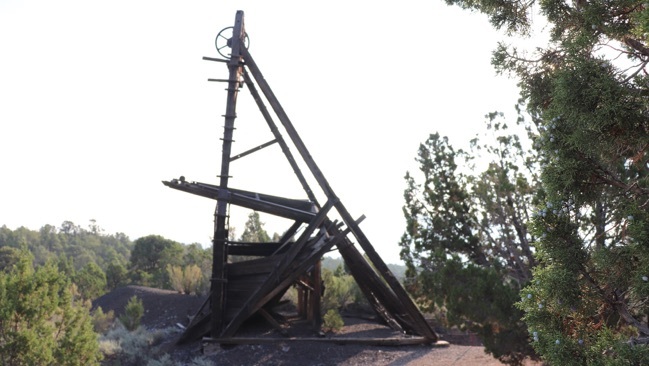 Above: A side view of the headframe at the Black Prince Mine. 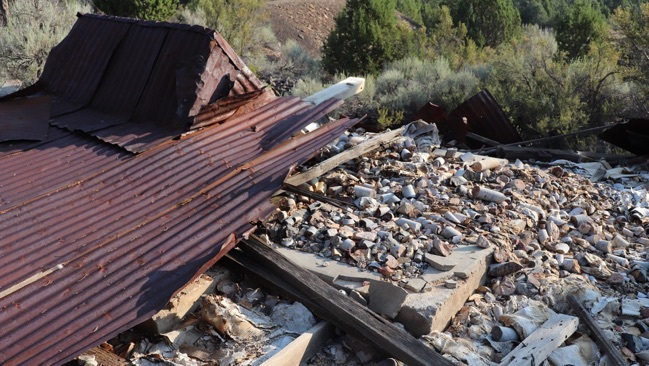 Below: I found the ruins of a small stamp mill about a half mile from the Black Prince Mine. 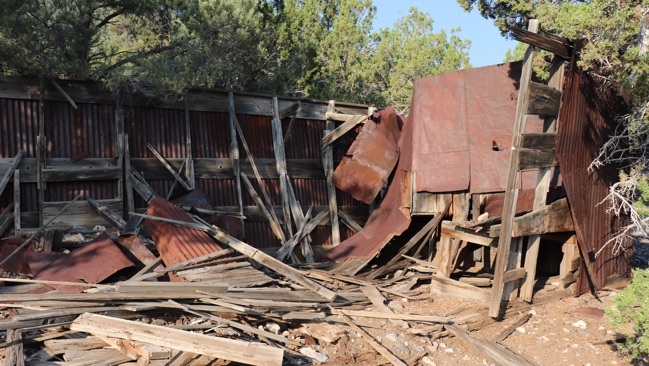 The mill building is gone, leaving only the stone foundations and the wooden frame of the five-stamp mill. 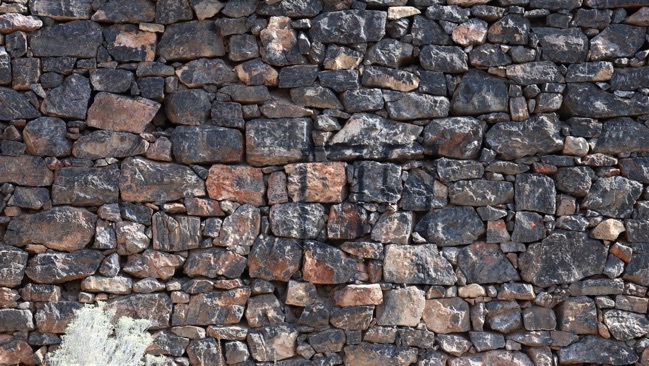 Above: This dry-stacked stone wall was part of the mill foundations. Below: Megaweapon on the trail near the mill ruins. 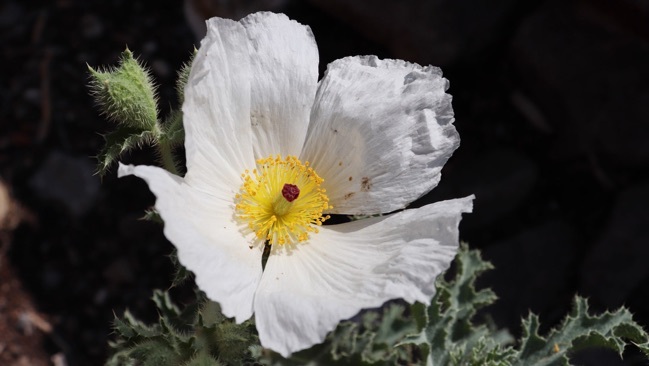 Above: Another prickly poppy, seen near the mill ruins. 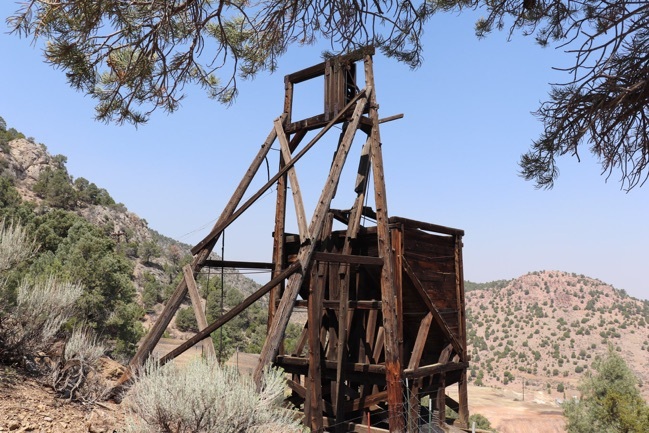 My next stop was the Golden Eagle Mine near Caselton Heights, NV. All I know about this mine is that the primary ore was silver. 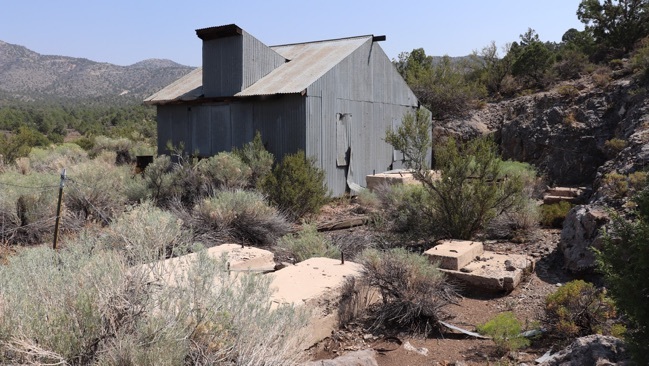 There is a metal-covered hoist house next to older, larger foundations from an earlier hoist. 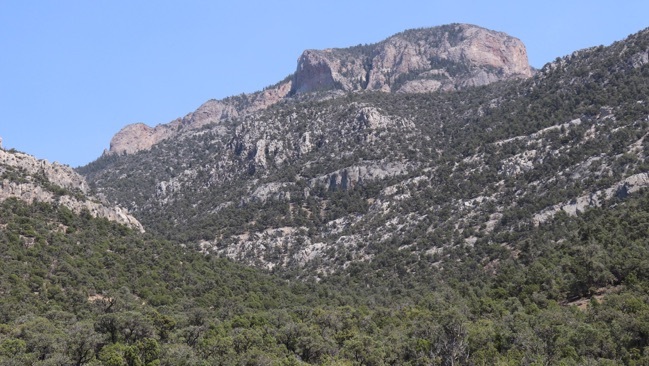 Just a short distance from the Golden Eagle Mine is the site of Caselton Heights, NV. This was kind of a “suburb” of the town of Caselton. Both communities housed the miners who worked the nearby mines. 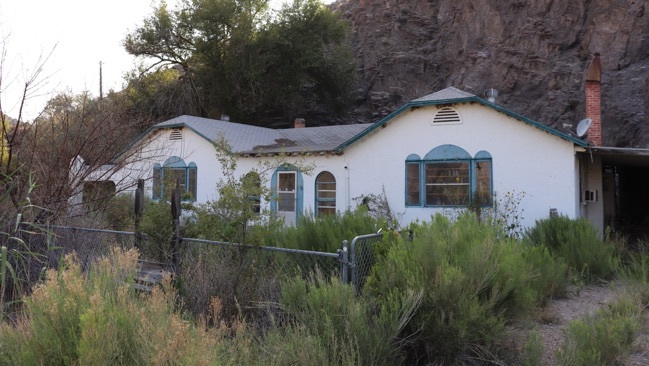 There are still some occupied homes in Caselton Heights, but there are also many old foundations and a few ruins. Most prominent of these is the former Community Building. 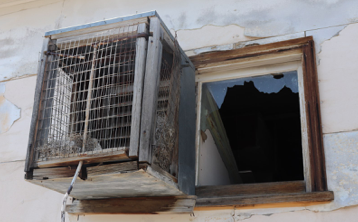 Above: An small and unusual type of swamp cooler. I wonder if it was homemade? 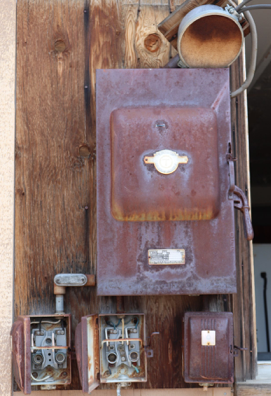 Left: Old circuit boxes, heavily weathered. 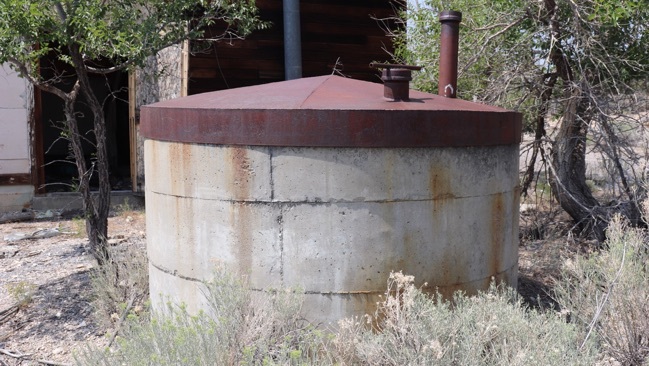 Below: An interesting concrete cistern, with a welded steel top. 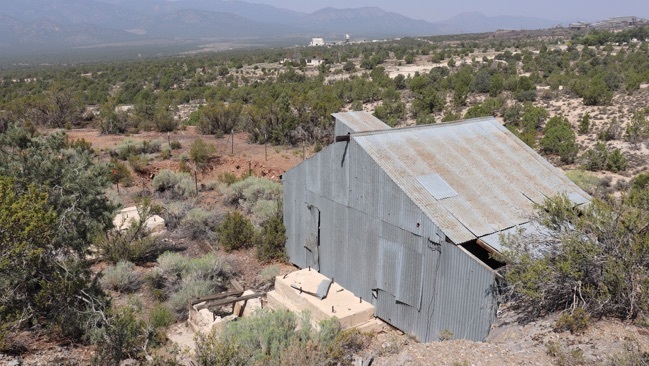 This small mine is on the side of Williams Hill overlooking Pioche, NV. I don’t know the true name of the mine so I’m calling it the Williams Hill Mine. 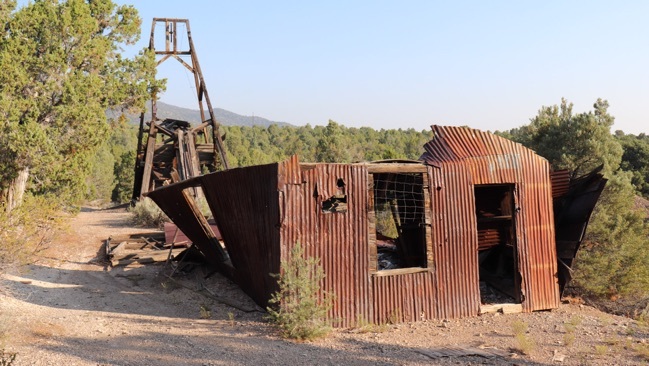 The only structure here is a wooden headframe and ore bin. 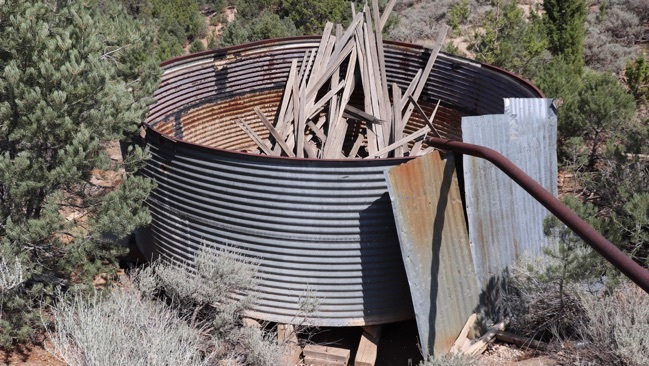 There is also a corrugated metal tank along the trail leading to the mine. 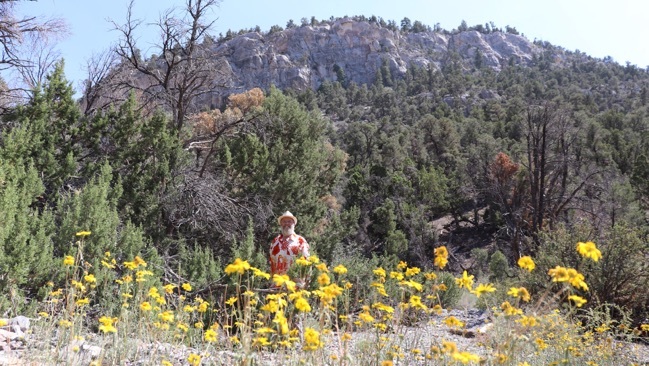 Below: More wildflowers in the Highland Range. 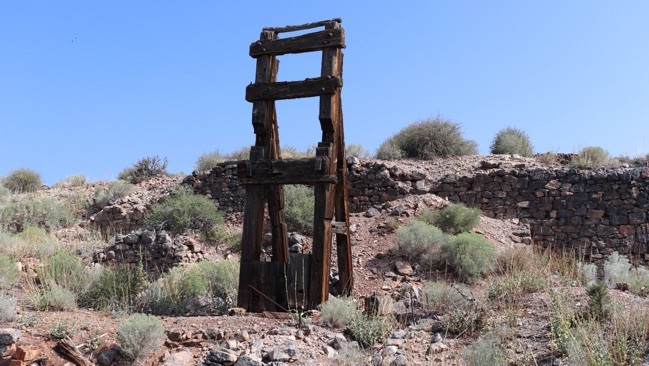 This small mine in the Highland Range has an inclined shaft which appears to be collapsed. 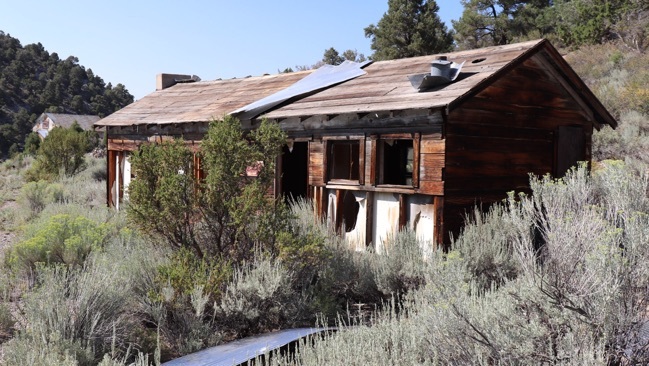 The only surviving structure is a small cabin. 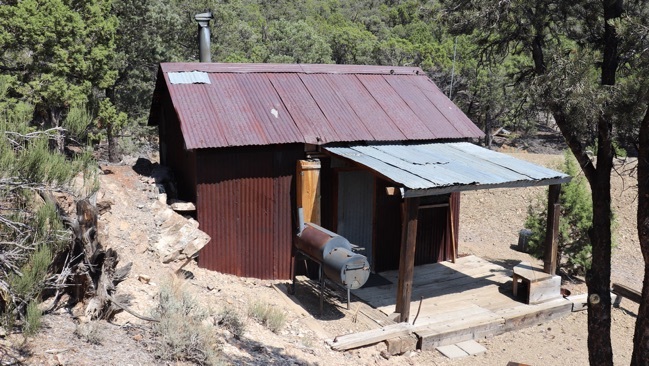 The cabin is currently in use and marked as private property, so I’m not publishing the real name of the mine. 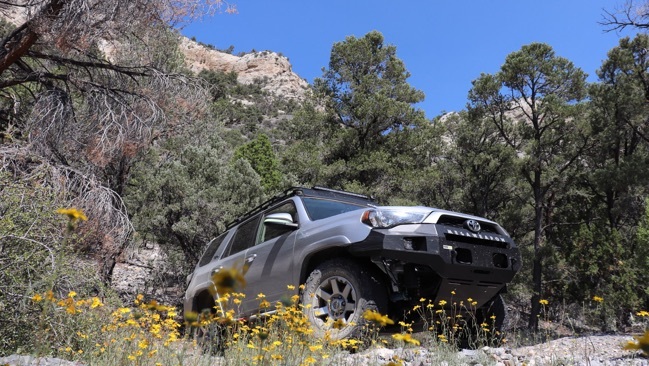 After I left the “Lincoln” mine, I spent some time exploring trails in the Highland Range, and passed several mines which had no remaining structures or ruins. Finally I came to the Mendha Mine. 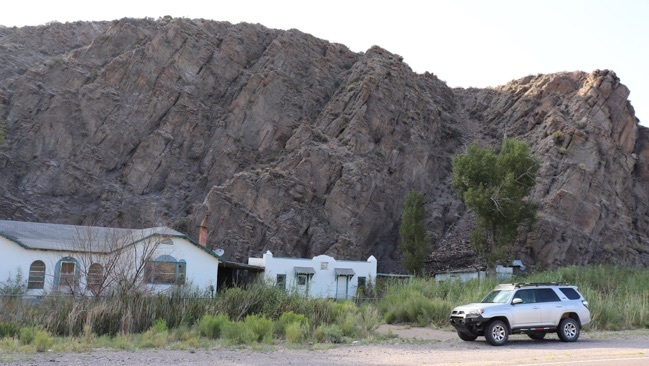 This mine has a long history dating back to 1875. 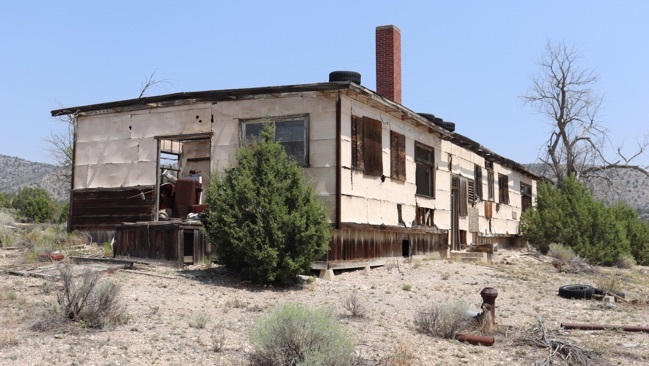 There are several structures still standing, including cabins, a large ore bin, and a metal building filled with old core samples. The mine itself has an inclined shaft with the upper end protected by a snow shed. 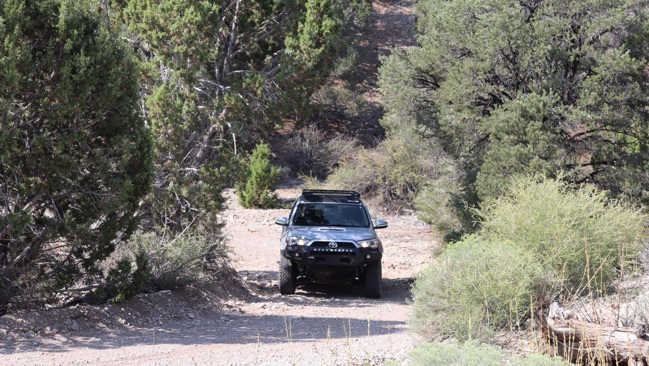 The road into the mine was closed so I had to hike in. There appeared to be more ruins up the mountain but I didn’t have time to check them out during this trip. 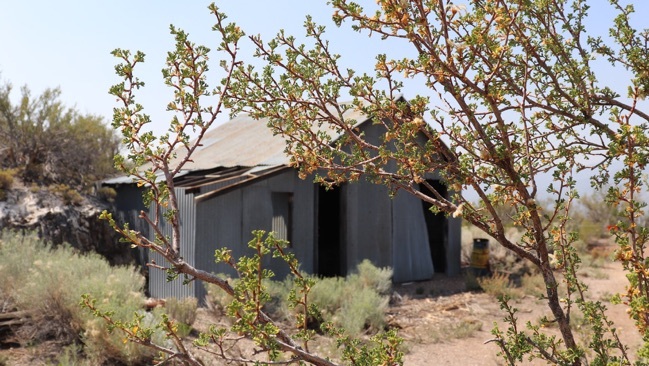 Click here to see a video tour of the Mendha Mine, NV. 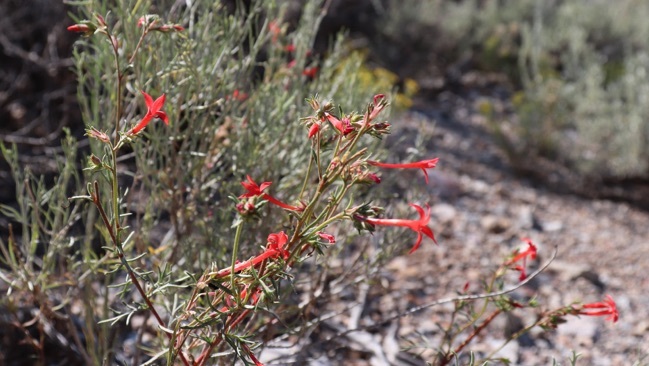 Below: Wildflowers seen at the Mendha Mine, NV. South of the Highland Range I came to a quaint little place called Indian Cove. I believe this may have originally been a small motel. In later years it was simply a private residence. 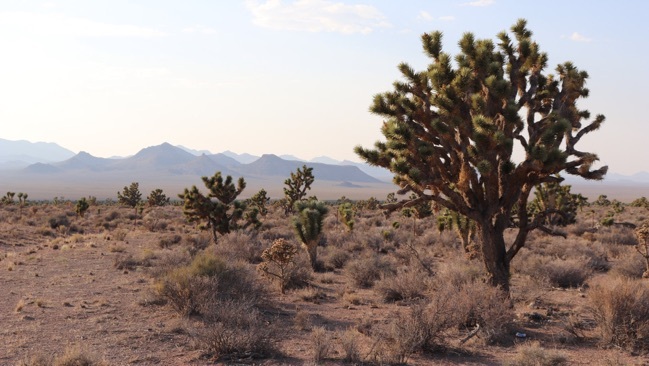 The next site I planned to visit was far off in central Nevada, so I started heading west and north across the state. 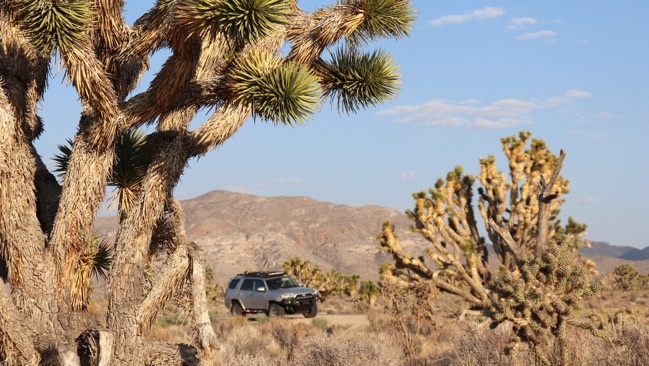 In southeastern Nevada I passed through forests of Joshua trees and vast expanses of sagebrush. 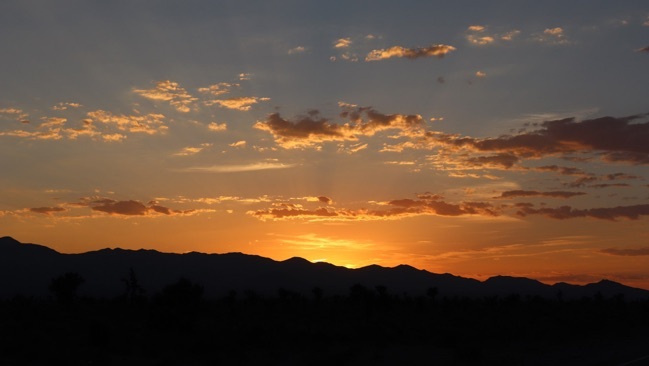 Once again the setting sun cast a rosy glow across the landscape and set the sky ablaze. 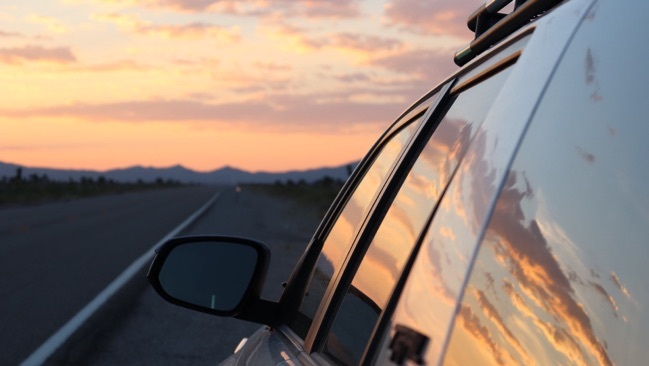 Many hours and miles later I finally arrived at my destination and spent what was left of the night sleeping under the stars alongside the ruins of the Cimarron Mine. 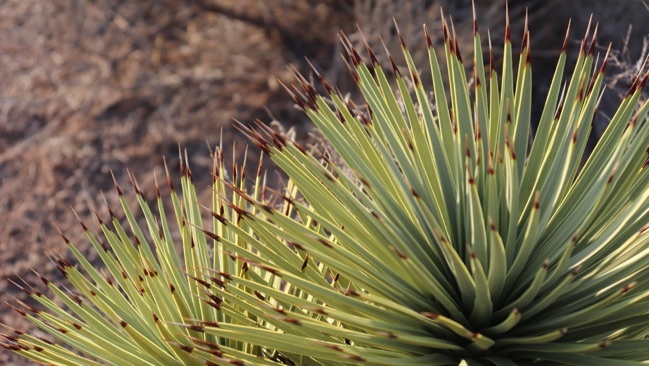 Coming up: The Cimarron Mine, the San Antonio Mine, more!